Often dubbed the ‘Venice of the North’, the photogenic waterways and fairytale architecture make Bruges one of the prettiest cities in Europe. Bruges’s stunning UNESCO World Heritage-listed Old Town is a medieval masterpiece, like an open-air museum where visitors can experience a rich concoction of Flemish architecture, art, history and food. Immortalised in the movie In Bruges, it has become immensely popular, and its streets throng with camera-wielding tourists throughout the year. They are here for good reason: magical sights are found around every corner, and the sound of horse-drawn carriages riding cobblestones only adds to the city’s romantic allure. The landmark Belfry Tower on the central Markt square is probably the foremost attraction, as the views from the top of this 15th-century masterpiece are stunning. 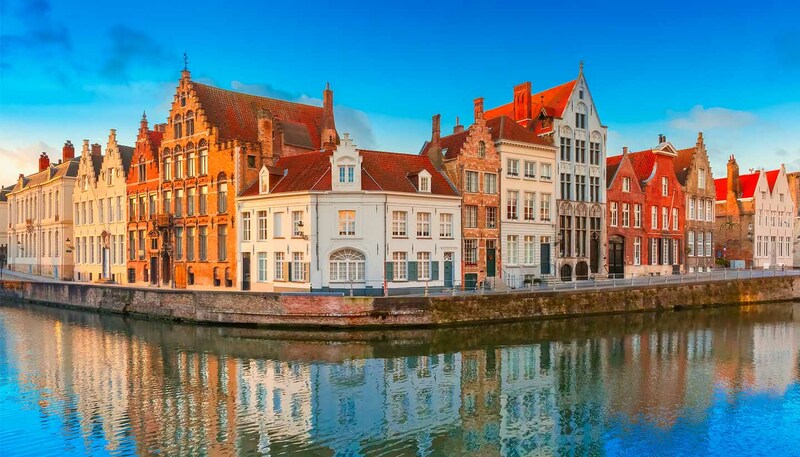 Don’t miss out a boat ride down Bruges’s iconic canals either, remembering to visit Burg Square, where you’ll find the Basilica of the Holy Blood, which claims to possess the blood of Jesus Christ himself. The city is replete with museums that showcase everything from furniture to folklore. The Chocolate Museum and Beer Museum are self-explanatory, while the Frietmuseum is where visitors can learn why French fries should really be called Belgian fries. Gourmands won’t be disappointed either. Bruges is bursting with restaurants where local Belgian cuisine reigns supreme. Those on tight budgets might wince at some of the prices, but it’s hard to hold that against this city this pretty. In many ways, Bruges has become a victim of its own popularity. Old Town property prices have been pushed beyond the reach of most locals and many of the quaint, canal-side dwellings are being used as second homes by part-time residents. Consequently, Bruges can feel like a bit of a ghost town in the quieter seasons and even the summer when visitors have gone to bed. If you’re looking for hedonism, look elsewhere. Still, visitors will be galvanised by Bruges’s historic beauty, which is largely unspoilt by progress. Preserved in a time long-forgotten, it makes the city the perfect cultural mini-break or a great stopover for travellers exploring Europe.